12 Good Dog Carl Greeting Cards, all Christmas themed. 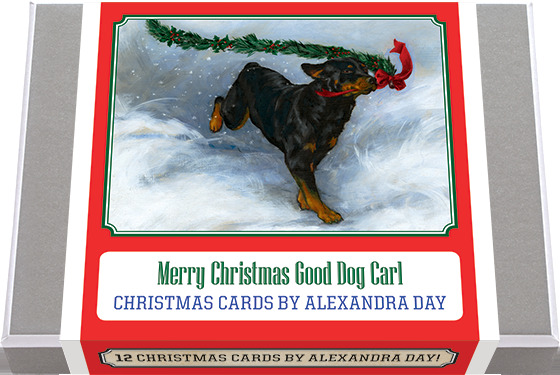 12 Good Dog Carl Greeting Cards, all Christmas themed. 2 each of 6 designs with 12 envelopes. Most of these images appeared in the beloved classic, Carl's Christmas: Carl with a Christmas basket, Carl decorating with his little mistress, helping Santa and talking to his reindeer. Plus two of just winter fun. Made in America with high quality paper, envelopes and packaged in a deluxe, keepsake box. All cards are blank inside.